RCMP are investigating firearms incidents that took place this weekend at Montreal Lake Cree Nation and continued on Highway 2. At about 10:15 a.m. on Saturday, Montreal Lake RCMP attended a residence where a 16-year-old male had been shot—the initial investigation found there was an altercation inside the residence and at least one firearm was discharged. EMS took the youth to hospital with non-life threatening injuries. 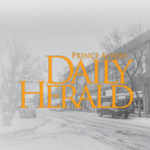 Then, after someone witnessed and reported a black car leaving the home, Prince Albert RCMP located the suspect vehicle on Highway 2 near the Christopher Lake turnoff. Two people ran after the vehicle stopped. They found an unresponsive woman in the car with a gunshot wound, identified as 25-year-old Trina Bird. She was declared deceased at the scene. 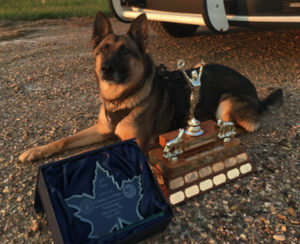 The Prince Albert Police Service (PAPS), Ministry of Environment officers and police dogs, as well as the RCMP Police Dog Services Unit came to assist. Police dogs tracked down two suspects, who officers took into custody. An RCMP news release said they will provide more information as it becomes available.